The ultimate collection for fans of the ultimate parody songwriter. 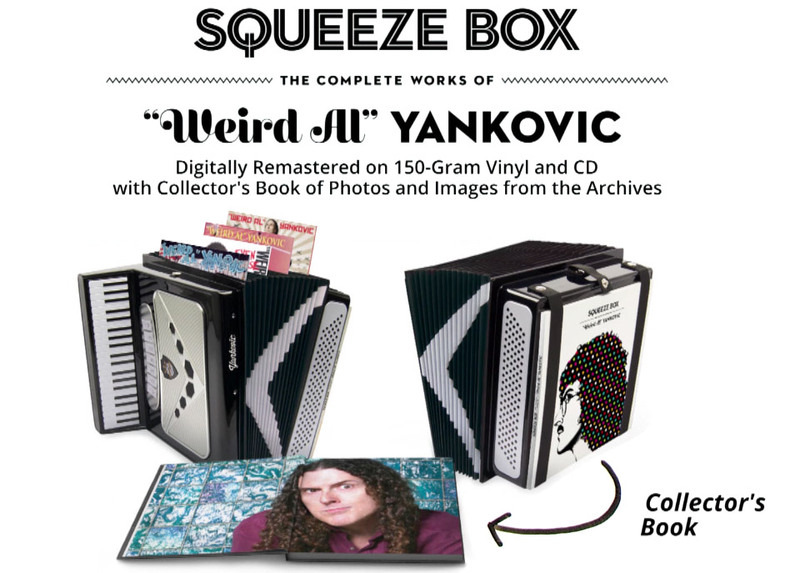 Get all 14 of “Weird Al” Yankovic’s studio albumns on CD or Vinyl, packed inside of an accordion case along with a 100-page collector’s book. Upgraded sets include lots of extra goodies.